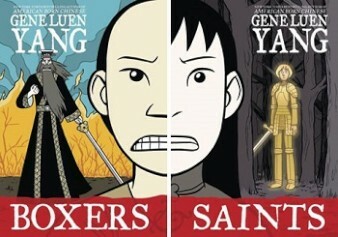 Gene Luen Yang’s BOXERS & SAINTS went on sale last Friday and has already made the long list for this year’s National Book Awards for Young Peoples’ Literature. This is the second National Book Awards nomination for Gene Luen Yang, whose AMERICAN BORN CHINESE was a finalist. Next Post GO HOME AND READ A BOOK!